Submit a DCPS virtual exchange request form to ask for a specific match, browse existing virtual exchange platforms, explore resources, and bring the world inside your classroom. Submit a DCPS partner interest form to connect virtually with a classroom in Washington D.C. Once you complete the form, we will add you to our global database and begin to search for a match. Empatico: Empatico is a free tool for teachers to connect their students to classrooms around the world using seamless video conferencing technology. Activities are standards-based and designed to promote meaningful interactions and positive perceptions. 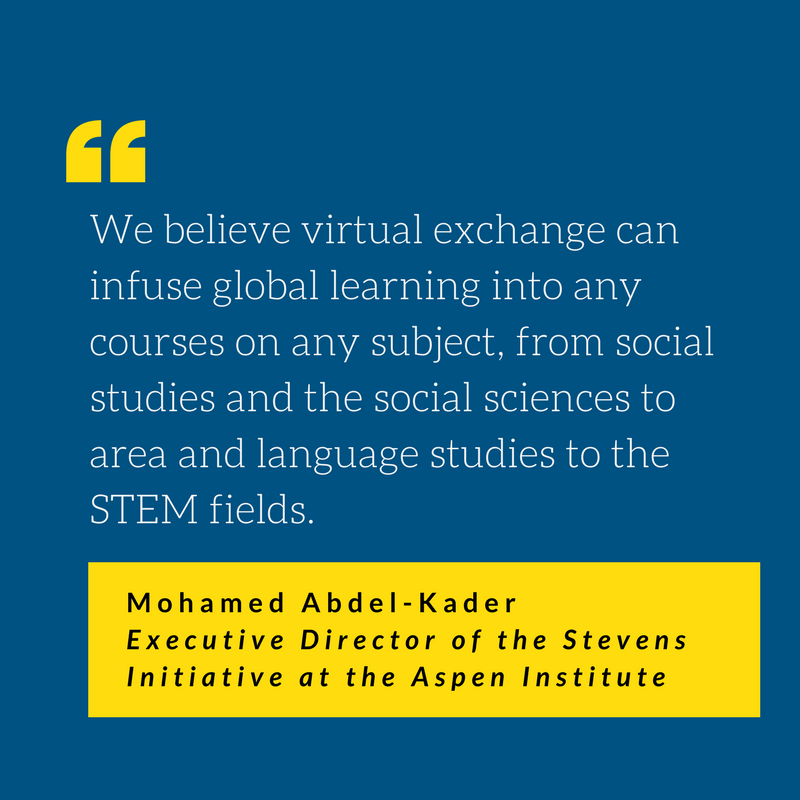 Stevens Initiative: The Stevens Initiative helps connect people and organizations with each other to grow the field of virtual exchange. Fill out a form to share information about yourself and to explain what you are seeking in a prospective partner. The Stevens Initiative will review each submission to determine whether there is an appropriate match for partnership. Peace Corps Global Connections: Global Connections allows educators and Peace Corps Volunteers to connect directly to bring global perspectives to any learning environment. Generation Global: With Generation Global, teachers can transport their classes across the world in a single afternoon. Online and through video conferences, students interact directly with their peers around the world, engaging in dialogue around issues of culture, identity, beliefs, values, and attitudes. NASA Astronaut and returned Peace Corps volunteer Joe Acaba spoke live February 7 from the International Space Station with students at H.D. Cooke Elementary School, Acting Peace Corps Director Sheila Crowley, and a global audience virtually.